Since the beginning of a reintroduction program in 1999, the population of the Canada lynx in Colorado has grown to 150 to 200 animals. Southwest Colorado accounts for most of their habitat in the state. 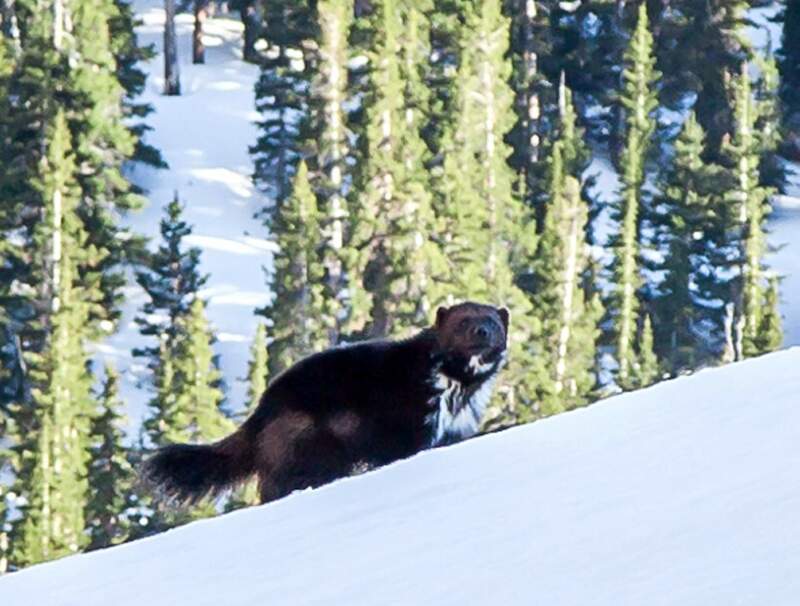 The wolverine, a member of the weasel family, is a solitary mountain dweller that relies on deep mountain snow. Wolverines have not inhabited Colorado’s forests in nearly a century, but possible federal protections for the animal could be a catalyst for a reintroduction program. 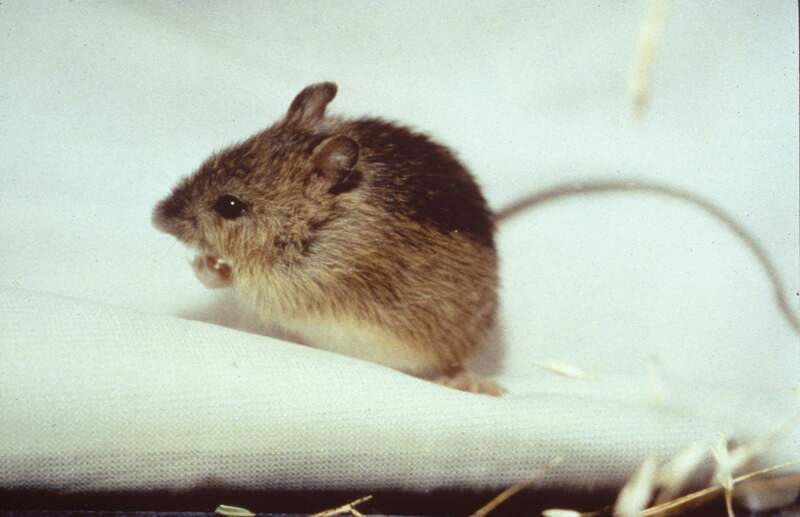 An endangered species, the New Mexico meadow jumping mouse can be found in southern La Plata County. The mouse gets its name for its ability to jump 2 feet in the air. With its remoteness and relatively undisturbed wilderness, La Plata County and the surrounding San Juan Mountains are regarded as some of the best habitat for an abundance of wildlife. Nonetheless, protections have been put in place for several species to ensure their future survival. According to the U.S. Fish and Wildlife Service, an endangered listing is any species in danger of extinction through all or a significant portion of its range, whereas a threatened listing is any species that is likely to become endangered within the foreseeable future. This story covers the state of mammals on the endangered/threatened species list. Next week’s installment will address birds, and the final story of the series will look at the plant and insect species on the list. Canada lynx (threatened)The winter of 2016-17 may very well be remembered as the “winter of the viral lynx.” Several photographs and videos of the extremely elusive animal shot near Durango took the internet by storm, gaining the attention of the Huffington Post and even a British newspaper, The Daily Telegraph. The first encounter occurred in December, when a Durango man captured two lynx taking a stroll on U.S. Highway 550 near Molas Pass. Then, later that month, a lynx became a regular sight on the slopes of Purgatory Resort until that animal was found dead Jan. 8 from complications with a tumor. Regardless, the recovery of the Canada lynx is regarded as one of the most successful reintroduction programs in Colorado history. Once thought extinct by the late 1970s, the animals were transplanted from British Columbia and released in Southwest Colorado, near South Fork, in 1999. John Mumma, then director of Colorado Parks and Wildlife (Division of Wildlife at the time), recently recalled that the first round of animals released had difficulty adapting to their new surroundings, causing increased mortality rates. So, Mumma said, the division changed its protocol, fattening up the next handful of lynx and releasing them in the spring, an easier time to survive. Almost two decades later, there are an estimated 150 to 200 lynx in Colorado, spread throughout the San Juan Mountains, with other populations expanding into Summit County and other parts of Colorado’s high country. Eric Odell, CPW’s species conservation program manager in Fort Collins, said the lynx population in Colorado remains stable, with most of that habitat in the southwestern part of the state. Yet, Fish and Wildlife may delist the animal through a current ongoing “species status assessment.” The agency did not respond to multiple attempts seeking comment. While a delisting would remove certain protections for the lynx, Odell said the whole objective of the endangered/threatened species listing is to reach a point where an animal no longer needs special attention. In that way, the program is regarded as a success. But Bethany Cotton of Wildearth Guardians said threats to lynx populations in other states, such as New Mexico, Montana, Idaho and Wyoming, make it illogical to take the animal off the threatened species list. “While lynx are doing well in Colorado, protections will remain important to make sure lynx are stable throughout their range,” she said. In September 2016, a federal judge in Montana ruled Fish and Wildlife failed to evaluate critical habitat areas in its plan to protect the lynx. The agency must now go back and re-evaluate the areas, especially as they pertain to the lynx’s main source of nutrition, the snowshoe hare. “The Service’s failure, on account of marginal hare densities, to designate critical habitat to protect that population and aid in its maintenance is arbitrary, capricious, and ‘offends the (Endangered Species Act),’” the court ruled. Wolverine (proposed threatened)The wolverine is thought to have last inhabited the forests of Colorado around 1920. Baiting practices at the time, where people would put poisons out to kill predators, indirectly affected the wolverine, which mostly feeds on small rodents. While the wolverine more closely resembles a small bear, the animal is actually a member of the weasel family. Its extremely solitary nature makes it a rare sighting, especially since it tends to stay at high elevations. Though smaller in size (weighing about 30 pounds), the animal has been known to take down deer and other large ungulates. 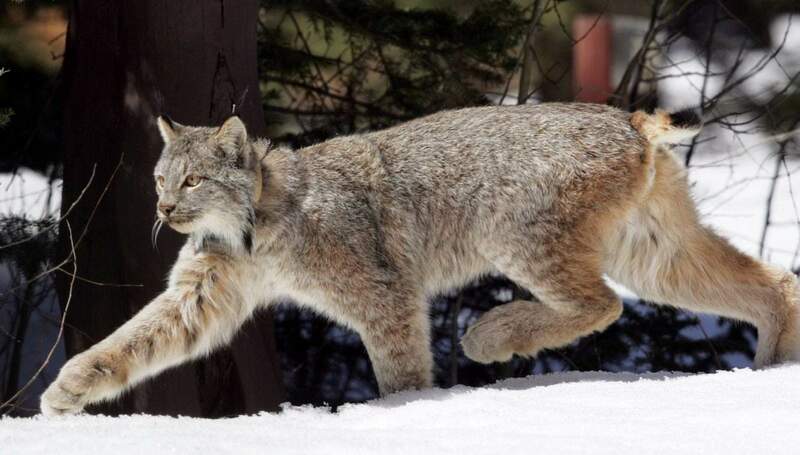 After the lynx reintroduction was called a success in 2010, attention turned to the possibility of returning the native wolverine to the state’s forests, CPW’s Odell said. It’s estimated Colorado has the capacity to support about 100 wolverines. However, those conversations stalled when other land users – namely ski resorts, grazers and timber and mining companies – opposed the proposed effort. “There just wasn’t the support from stakeholders or the Legislature to begin a reintroduction program,” Odell said. Yet, within the next six months, Fish and Wildlife should come to a decision about whether to list the animal as a threatened or endangered species, which would enact protections for its survival. Only about 300 wolverines are in the lower 48 states. In 2014, Fish and Wildlife declined to list the animal for federal protections, calling the science inconclusive. Last April, a federal judge said Fish and Wildlife rejected its own scientists when the agency claimed unsure effects of climate change on wolverines, a species that relies on deep mountain snow. “Basically, the court rebuked (the agency) for making a political decision, rather than one based in sound science,” said Wildearth Guardian’s Cotton. The federal judge ordered Fish and Wildlife to re-evaluate its decision. A wolverine was last sighted in Colorado in the early 2010s, having traveled from Wyoming. A North Dakota rancher who claimed the animal was threatening his cattle shot the wolverine. CPW’s Odell said it’s highly out of character for a wolverine to harass cattle. New Mexico meadow jumping mouse (endangered)The small, nocturnal, solitary critter known as the New Mexico meadow jumping mouse thrives along stream banks for three months out of the year, hibernating an estimated eight to nine months. Yet, as its habitat has disappeared – mostly because of grazing and drought – so have populations. According to a Fish and Wildlife report in 2014, there have been only 29 documented remaining populations throughout Colorado, New Mexico and Arizona. The survey also found about 70 previously occupied locations are now extirpated. In 2014, Fish and Wildlife listed the animal on its endangered species list. Brad Weinmeister, a terrestrial biologist for CPW in Durango, said most of the remaining jumping mouse populations are found in New Mexico and Arizona, but there have been reports of the species in southern La Plata County, along the Florida River and near Navajo Dam. And just last August, the mouse was found near the Durango-La Plata County Airport by a group of contractors surveying a new access road to the airport. Since the federal listing, wildlife researchers in the area have been attempting to fill in the gaps about the animal’s behavior, such as a more precise hibernation time frame and getting a better estimate on population. But as grazing damages riparian habitats and droughts dry up historically prime locations for the mouse, it’s unclear what a recovery plan looks like. The mouse, which looks like a mini-kangaroo and can jump 2 feet into the air, normally lives about three years, waking up in early spring to mate, give birth and then go back into hibernation. Wildfires, land-use practices, development, highway projects and recreation have also been factors in the animal’s decline. Weinmeister said more research must be done before a plan is put in place. When the U.S. Forest Service fenced off ideal habitat in the Lincoln and Santa Fe forests in New Mexico, ranchers who use the public land for grazing lashed out at the agency.